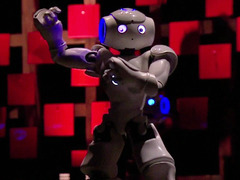 There's a place in France where the robots do a dance. And that place is TEDxConcorde, where Bruno Maisonnier of Aldebaran Robotics choreographs a troupe of tiny humanoid Nao robots through a surprisingly emotive performance.Bruno Maisonnier works at Aldebaran Robotics, maker of the tiny, compelling humanoid Nao. A new electronic device that can charge your mobile phone with a hot cup of coffee or a cold beer mug has been developed by a US company. The company claims that the two-sided Epiphany onE Puck converts the warmth of your hot cocoa or iced beverage into power for your phone. The lightweight device is portable enough to store in your purse or day bag for emergencies. The device uses a Stirling engine powered solely by heat disparities to generate the electricity to keep your phone up and running, Gizmag reported. Stirling engines were actually invented in 1816 as a rival to the steam engine, but its use was limited to low-power applications for a long time. Epiphany Labs is using modern materials to use the technology in a rather different way. The most obvious evolution comes in terms of size. The working prototype of the Epiphany onE Puck is not much larger than the bottom of a cup, so it's small enough to carry around easily. The device has two sides - a blue side for cold drinks and a red side for hot drinks. 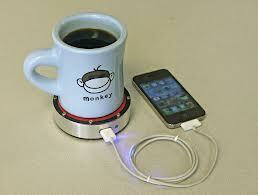 According to its creators, a hot drink is the optimal way to charge a device. It comes with a USB port that can charge any device that draws 1000mA or less. This means it can charge iPhones, Androids, iPods and other USB-based devices. Epiphany Labs claims that, in ideal circumstances, the device would be able to charge your phone at the same speed you would see plugging it in directly to a wall. It will also work in less-than-ideal conditions, but if you are not placing a fresh hot drink on the Puck, you will have to wait a little longer for your device to receive a full charge. The team from Epiphany Labs has a working prototype, and is turning to Kickstarter to get the funding needed for production. One of the world's most distinguished scientists, E.O. Wilson is a professor and honorary curator in entomology at Harvard. In 1975, he published Sociobiology: The New Synthesis, a work that described social behavior, from ants to humans. The robot flies like a bird,this is the latest video which i collect from TED.just watch and learn how our technology growing day by day. Intel put on an impressive show at CES 2013, showing off a whole host of ultrabook convertibles, smartphones and gesture control demos. We walked around the booth and found the best Intel had to offer. Mice and keyboards are the past. Eye tracking, voice commands and gestures are the future. 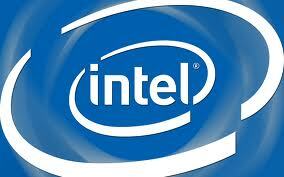 At least according to Intel and demonstrated to our team at CES 2013.